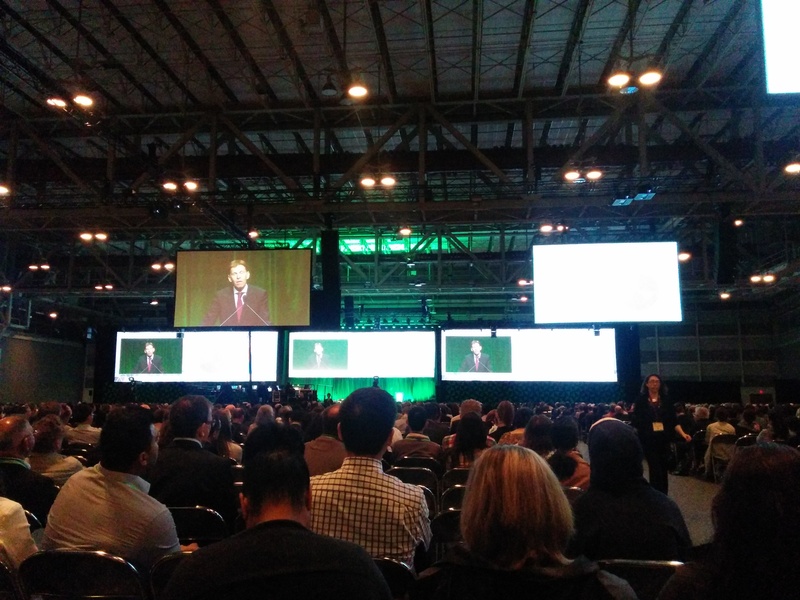 This week the Seven Bridges team has been participating at the American Association of Cancer Research (AACR) annual meeting, held this year in New Orleans. We’ve been demonstrating the collaborative research benefits of our Cancer Genomics Cloud, and catching up on the latest developments in cancer genomics at AACR. Throughout the week, the meeting emphasized the central role of genomics to cancer research. Genome sequencing has transformed our understanding of cancer, and will continue to be the basis of research into tumor heterogeneity, molecular signatures and driver mutations. If we had one wish, we’d like to see bioinformatics, infrastructure and methods for cancer data analysis receive more attention in subsequent AACR programs, as these domains are essential to good practice in genomic research. Researchers and clinicians have moved from classifying tumors by primary site to a model that recognizes specific molecular alterations. Nonetheless, these tumor molecular characteristics can differ over time (e.g. before and after therapy) and between cells (e.g. different clonal populations within a tumor). Research efforts, such as the flagship TRACERx study in non-small cell lung cancer, are therefore directed towards better understanding tumor heterogeneity in order to increase the resolution of cancer diagnostics and to inform therapy. These efforts require integration of genome sequencing with gene expression and clinical data to fully understand tumor heterogeneity and its clinical effects. Immunotherapy has emerged as a pillar of cancer treatment, alongside surgery, radiation therapy and chemotherapy. Clinical trials and basic research in immunotherapy were the subject of a notable number of sessions at AACR, including a major symposium on genomics-guided immunotherapy and two plenary updates on clinical trials in immuno-oncology (1, 2). The development of new immunotherapies will rely on better understanding of the underlying molecular alterations and heterogeneity of tumors—for example, genome sequencing enables the identification of neoantigens, which are candidates for T-cell-based immunotherapies. Vice President Biden addressed the meeting on Wednesday, as part of his leadership of the US national Cancer Moonshot. The Vice President described his role as bringing together global, human financial and knowledge resources, and to better link federal and industry resources. 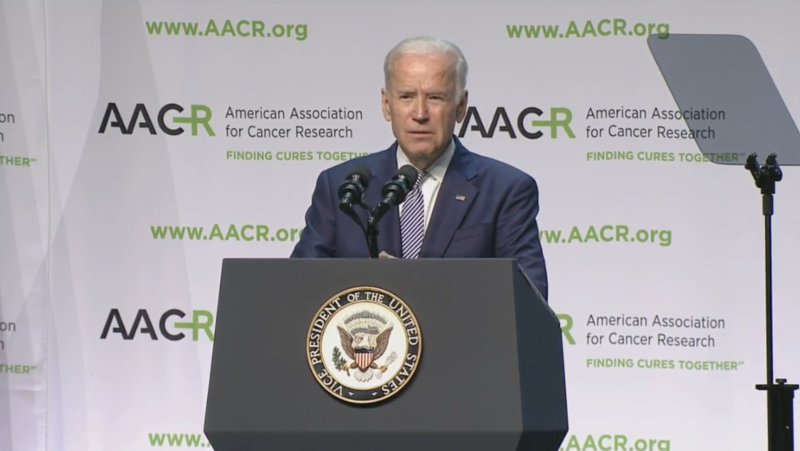 The majority of the Vice President’s speech addressed the question of how to better align incentives in cancer research, to encourage data sharing, enhance trial recruitment, and award grants to research projects that have real impact. He highlighted the role of powerful computation in solving complex questions in cancer research, and stressed the importance of data sharing and collaboration. Videos of many talks, including the Vice President’s remarks and Brandi Davis-Dusenbery presenting the Seven Bridges Cancer Genomics Cloud, are available to watch at AACR Webcasts.